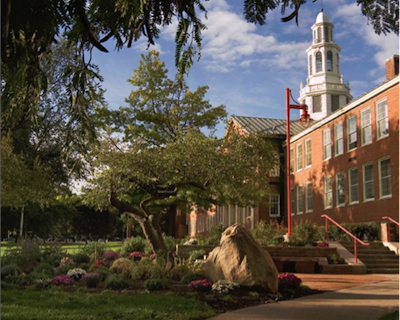 VN Engineers, Inc. assisted in the development of the Facilities Master Plan for the State University College at Brockport in Brockport, NY. The Facilities Master Plan is a 10 year plan for addressing campus needs, prioritizing the needs as immediate and long-term and estimating capitol funding required for implementation. VN Engineers was the sub-consultant responsible for traffic and transportation aspects of the master plan. 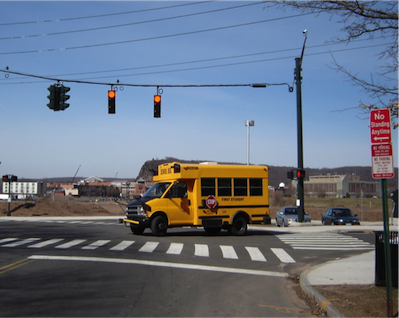 VNE assessed the existing vehicular, bicycle and pedestrian circulation patterns, campus lighting, ADA accommodations, signing, drainage, available parking and bus/shuttle routing and stops. VN Engineers made recommendations for improving the safe interaction of pedestrians and vehicles throughout the campus and immediate neighborhoods. VNE assisted in developing criteria and guidelines for implementing improvements to campus lighting, ADA accommodations, crosswalk locations, parking lot layouts and locations in an effort to assist the campus with their long-term goals of providing a safer environment for their 10,000 students. The purpose of this study was to prepare a systematic assessment and prioritization of Lake Avenue and West Street transportation corridor needs, such that a well-organized final plan of implementation would be available for use in future funding prioritizations for design and construction projects. For this study, existing conditions information was obtained and reviewed including accident data, land use, and traffic volumes. Traffic volume data from the past 12 years was reviewed in order to project existing traffic volumes in the corridor to the future 2032 design year for additional analysis. 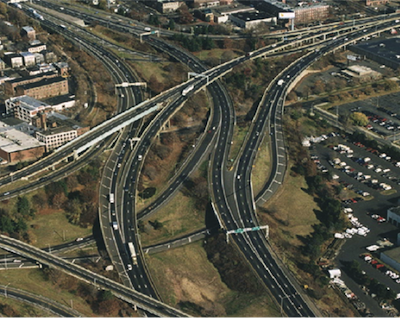 An evaluation of the roadway network was performed which included capacity analysis and a review of roadway geometry and traffic control devices. The signalized intersections in the corridor were evaluated using SYNCHRO and estimated delays, volume to capacity ratios, and Levels of Service were reported for existing, 2032 “no-build” and 2032 “recommended” scenarios. The low clearance railroad bridge, located over West Street contributes to major operational, safety, drainage, and maintenance issues in the corridor. Solutions to alleviate some or all of the issues at this location were considered and discussed. Access management, along with pedestrian, transit, and bicycle accommodations were also reviewed and recommendations were made for improvements to improve mobility in the corridor for all modes of transportation. Recommendations to address safety, functionality, and aesthetics were all selected to complement each other and provide an updated vision for the corridor. 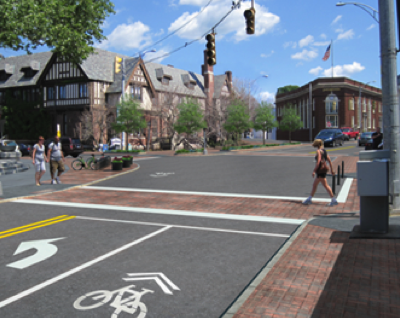 VN Engineers completed a Bicycle-Pedestrian Safety Corridors Study for the South Western Regional Planning Agency. The purpose of this study was to analyze and recommend safety improvements to state highway segments in the South Western Region with elevated rates of bicycle and pedestrian accidents. The study area is comprised of eight state highway and local street segments in the South Western Region. VN Engineers is responsible for reviewing all existing studies and plans, conducting field reviews in the Safety Corridors, reviewing crash and traffic data, and reviewing any as-built plans and right-of-way mapping. VN is also responsible for developing counter measures to improve safety and mobility. To accomplish this, VN is considering possible improvements for each corridor, preparing concept drawings for each project and location and presenting them with typical images or figures. A report will be delivered detailing the safety deficiencies and proposed counter measures. 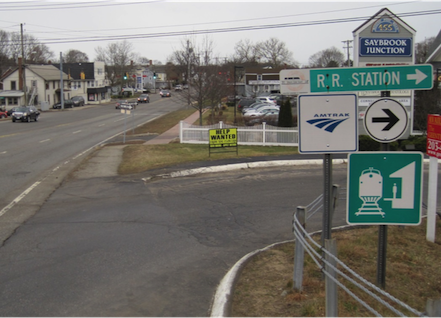 The CTDOT is in the process of designing and permitting an expansion to commuter parking at the Old Saybrook Railroad Station. The purpose of this project was to conduct a traffic analysis that was necessary to help determine if a Major Traffic Generator Certificate would be required. VN Engineers was responsible for developing existing condition volumes for various intersections, turning movements and collecting accident data for the station site. 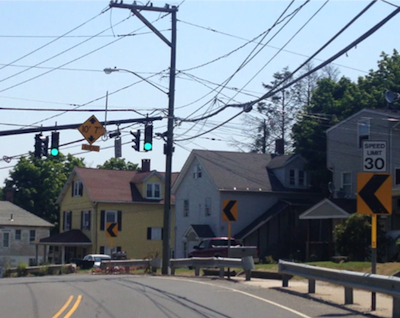 They developed existing (2013), no build and build condition (2014) volumes for the signalized intersections at North Main Street/Main Street and Route 1, Stage Road/River Street and Route 1, North Main Street and Stage Road and North Main Street and the Station Driveways. VN Engineers prepared a report detailing the findings. 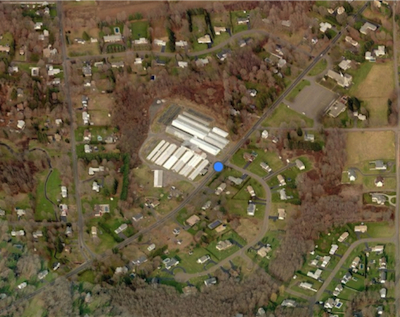 VN Engineers, Inc. was contacted by the Town of North Haven to perform an independent peer review per section 4.4.1.38.6 of the Planning and Zoning Regulations to determine whether or not the initial traffic impact report and the adequacy of parking met industry standards. VN Engineers responsibilities primarily included addressing the areas of concern raised by the Town Engineer. VN Engineers reviewed Sight Lines, Traffic Volumes and Level of Service Analysis. VN Engineers also conducted an estimation of parking needs for the development based upon generation rates contained in the Institute of Transportation Engineers Parking Generation manual 4th Edition. This project was a follow up on a CMP report which was updated in June, 2010. VN Engineers studied some of the identified congested corridors in more detail through the collection and analysis of travel time data. This data was then compared to travel time data collected by SCRCOG in 2004 where applicable. Other additional performance measures were also incorporated into the CMP to evaluate other aspects of the regional transportation system and other types of congestion. This project revised the recently updated CMP report to include the additional data and established a template for future report updates. 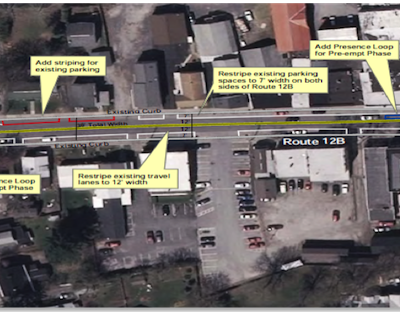 This effort ensured compliance with FHWA guidelines. Traffic engineering services for the computerization of Traffic Signals at Various Locations in New Haven, CT. Compiled local condition data for 41 intersections. Data included lane configuration, sight lines (turning and approach), turn restrictions, speed limits, representative speeds, the location and condition of signal equipment, sidewalk ramps and driveways. Compiled accident for 41 intersections based upon the most recent three-year accident experience and calculated the accident risk with respect to entering volume of traffic. Produced a report highlighting intersections with high accident rates. Prepared utility mapping and obtained vertical clearances under overhead utilities at all intersections. I-95 Corridor Feasibility Study for Safety Improvements presented an assessment of the existing transportation and environmental conditions, an analysis of future transportation conditions (projected to the year 2025), recommended improvement concepts and an implementation plan of action for the I-95 corridor improvements from Exit 54 in Branford to the Connecticut/Rhode Island border. VN Engineers was sub-contracted to provide traffic and highway engineering services for the project. 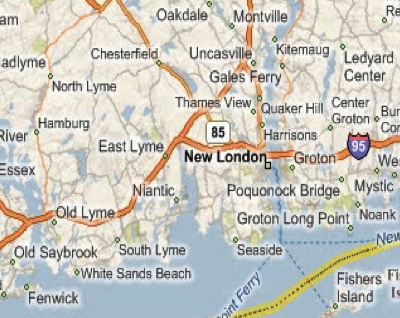 VNE conducted a traffic counting program (ATR and Manual) for ninety-eight intersections, Performed Operational & Capacity analysis using Highway Capacity and SYNCHRO software for ninety-eight intersections, all ramp merge/diverges, highway sections and weaves along a 60 mile section of I-95 for the existing condition and the future projected volumes. Four-lane section with raised median and 3 roundabouts. Two-lane section with raised median and 3 roundabouts. Two-lane section with center turn lane and 3 roundabouts. Four-lane section with center turn lane and 3 roundabouts. Four-lane section with center turn lane and signals. VN Engineers was subcontracted to perform traffic engineering services. These tasks included the trip distributions for the eight design scenarios, accident analyses at five intersections and all mid-block locations, benefit-cost analyses for all alternatives and warrant analyses of three existing intersections. The project is a comprehensive study of a 16 mile section of Route 12B in New York from Route 20 in the Town of Madison to Route 5 in the Town of New Hartford. The study is being conducted to address various inquiries, requests and letters from the municipalities along the corridor relating to traffic and safety issues. The roadway serves rural and urban land uses as well as a large percentage of trucks. Recommendations from the study will be considered for inclusion in PIN 2065.35.121 and other state improvement projects. The study includes an assessment of existing conditions and estimation and analysis of future conditions with consideration of land use and zoning characteristics, traffic conditions, and roadway capacity. Concerns were identified for the overall corridor, such as speeds, percentage of heavy vehicles, accommodations for non-motorized travel, land use and access management, education and enforcement, and roadway design issues. 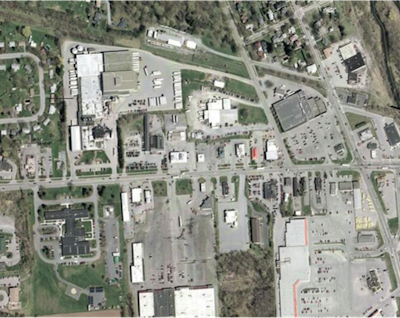 Site specific concerns were also studied, for each town and village specifically. Alternatives were presented and discussed to address the identified concerns which include cost estimates and recommendations were made. VN Engineers was subcontracted to perform traffic engineering and planning services. These tasks included the accident analysis for a 3-year crash history over the 16-mile study corridor, Level of Service analysis for study area intersections and highway segments for existing and ETC + 10 scenarios, and development of alternatives (with conceptual designs) to address safety concerns in the corridor.